That's a great kit to build Richard,I believe it needs zimm to make it accurate according to reviewers if you want to pick nits. Thanks for the reminder about the Zimm! Welcome Richard. That's a good lookin kit. I believe I have the same one. 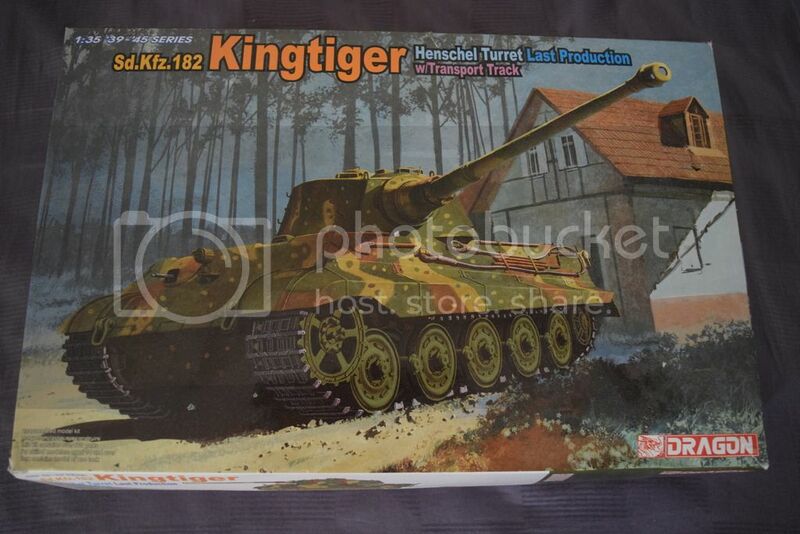 I think I might join in with a 1/72 Revell SpPz 2 "Luchs". Would be glad to have you Cristian. Gary - You nailed. We only have a few days until we kick this off fellas! My bench is almost clear. I have a Bradley I need to get some much needed work done for the 500+ campaign. Boy I'm gonna be busy. I'm in the middle of a large/long build myself. So, I'm really looking forward to a little 'Tiger' break. Is someone gonna launch the official thread, our have I missed a change of start date? Well Gary,I got started on my Tunisian Tiger today,but not nearly enough for pics yet,but I don't think there will be a new thread,I think we just tack onto this one,unless Dennis starts a new one. The thread just needs to be made a sticky one -- I believe John (Nito74) does that, together with the link for the campaign gallery. Tat is correct. He will make this thread a sticky. So, lets all get started! Good luck and have fun! Hi fellow Big Cat IV Campaigners! Hope you all are doing well. Here is some opening shots of my Tiger II(P) by Tamiya in 1/35. You'd think such a big tank would have more parts! I do the Zimmerit in stages. Otherwise you get fingerprints and other nasty consequences. Some turret details. The Zimmerit tool that came with my Academy Tiger I (late) is coming in very handy. The modelling paste actually chips like real Zimmerit once dry and has a nice, long working time. I use a q-tip and water to remove any excess while it's still wet. Hopefully it will work as well with Panther and StuG patterns, too. Despite it's long working time, it dries relatively quickly. I'm not very good at photography with my phone. trying to set everything up for the high-contrast needed to show the Zimmerit detail took a bit of phanageling. Fast start Gaz,homemade zimm looks good,never tried myself. Good job Gary. I like the look. I also have never tried homemade zimm or even done AM zimm. I need to do a few vehicles with it. Thank you! This is only my second attempt at it, so it's not difficult. ...at least the Tiger pattern. The keys are having the right putty and tools and not trying to cover a whole plate in one attempt. 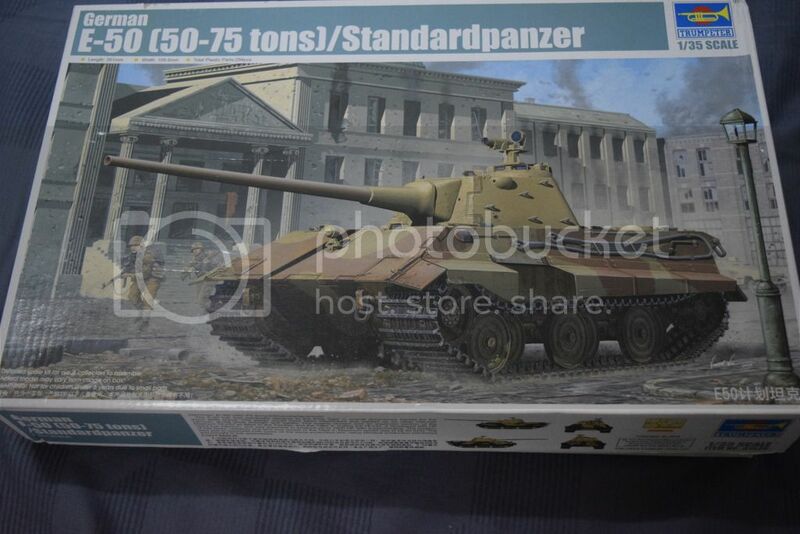 I imagine fot the Panther and StuG I'd use milliput and lots of water and some kind of tool for pressing the pattern, instead of a raking pattern like on the Tigers. I can't imagine forking out a big chunk of change for machined sheets of brass that might or might not be made for the kit I've bought. But that's my temperment. Cool DIY zimm you have there Gary! Same here. While some folks would scratch their heads and ask why re-invent the wheel, I take pleasure in making small bits and pieces on my build. The outcome may not be on a par with what's available commercially, but i guess it's the satisfaction of doing one's own mod that drives me. Thanks Tat! Yep, the more we do for ourselves, the greater the satisfaction. Well I won't be able to start right away since I'm flooded with work and won't have much time till late June. 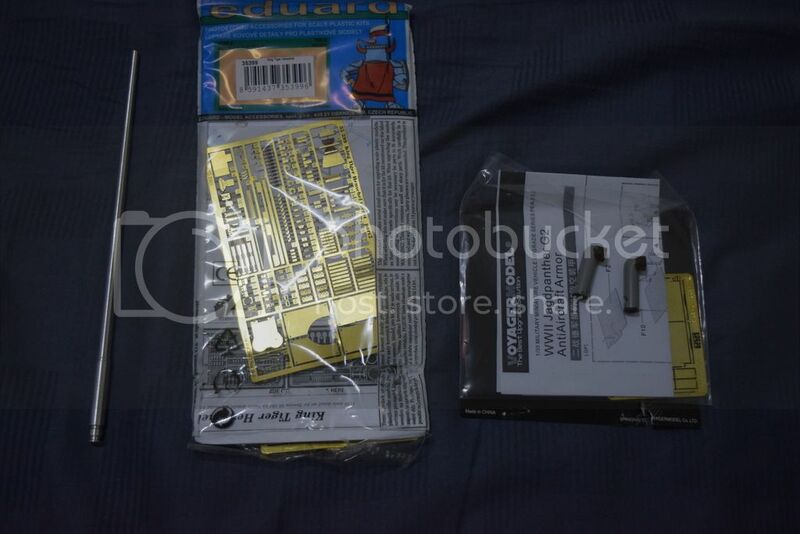 Some AM parts - Had these in the storage for quite some time. Figured they'll come in handy here. I'll be swapping out the engine deck of the KT with the E-50's along with several other parts and also a honking long L/100 88mm which would make for a wonderful what-if Super KT . I'm insane, I know. Those kits look awesome. Glad to have you Bryan. Got the Zimmerit done yesterday and after some work on another model, started putting this King Tiger together. The smaller cable snapped, either before I could notice it, or when I was trying to free it from the sprue. I was able to save it with a little CA. These tanks have very pleasing, yet simple lines. I'm thinking I should have chipped the Zimmerit before I added all of the surface pieces. ...probably should have done the road wheels first, too. They always seem to be most tedious. Looking great Gary. You're off to a great start. Yay! We finally got stickied. Anyway...how do you guys feel about Dunkelgelb, or Panzer yellow? I've always thought those beautiful honey-shades that we put on our panzers were just a bit too golden. We can talk about fading and oxidation...but it really looks less golden and more like faded straw. So, anyway since I mix my own paints from artist acrylics, I decided to go light. My first Tiger since I came back to modelling two years ago came out rather dark. So hopefully after camo and weathering, It might look a little better. I guess one could say I don't really know what I want? Lol. I actually really like the lighter base coats, but I've only done a lighter coat once. I also really like the look of a really sun faded camo, but I always use dark washes. So.. Lol I guess I like many different styles but I just haven't built enough yet to try them all out.